This week the blog featured several tutorials using the new Seasonal Sweets Fragrance Collection. It has four dessert-inspired scents perfect for the holidays, including Red Berry Rhubarb Fragrance Oil. 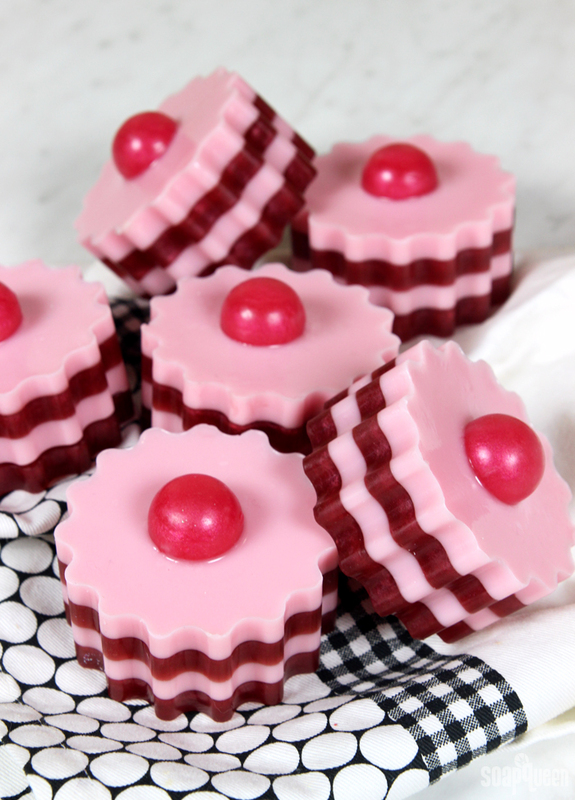 That scent inspired the Red Berry Melt and Pour Soap Tarts, which have cute red and pink layers and an embed on top. Now until November 18th, you can try the four 2 oz. fragrances in the Seasonal Sweets Collection for just $18.45. That’s over 30% off the price of buying them separately. Pumpkin Souffle Fragrance Oil is another scent in the collection. It has notes of pumpkin, baked goods, espresso and pecan. It’s used in the Pumpkin Souffle Cold Process Soaps, which are made in disposable cups and topped with fluffy white soap and used coffee grounds. They’re a perfect gift for someone with a sweet tooth. 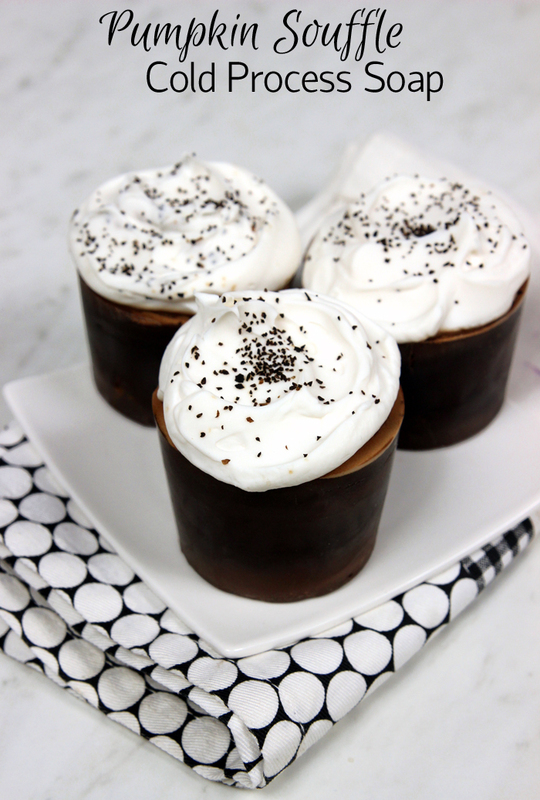 The Melt and Pour Soap Truffles are another sweet treat. 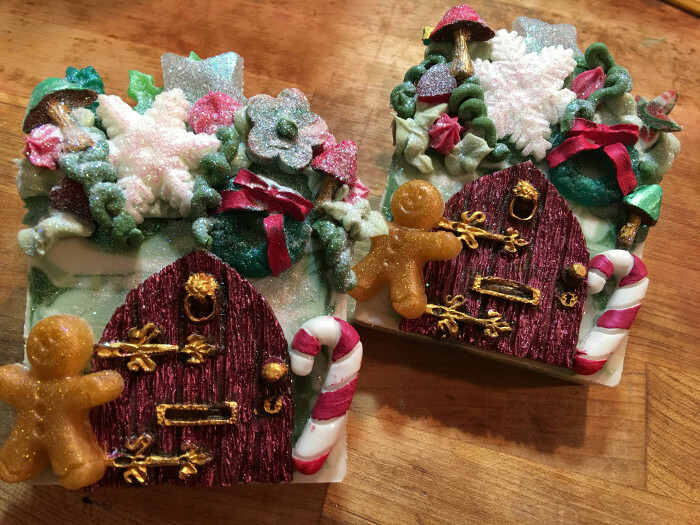 They’re scented with Butter Mints Fragrance Oil and topped with a melt and pour soap drizzle and Medium Pink Sea Salt. 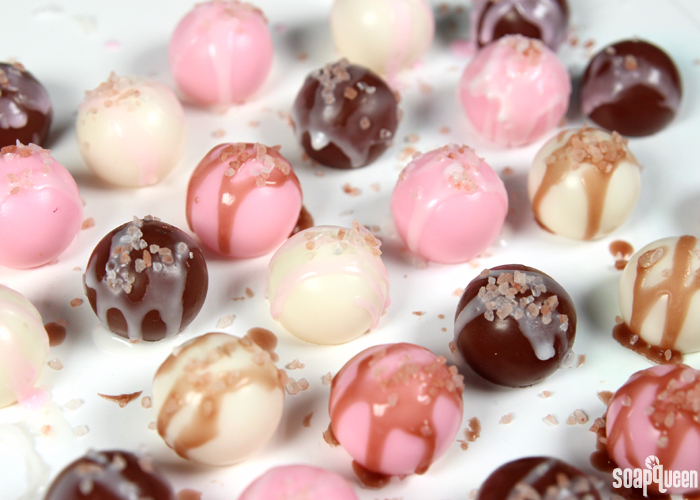 It’s an ideal project to make with friends because they can help you decorate the top of the truffles. Find more projects to make with loved ones in this post. 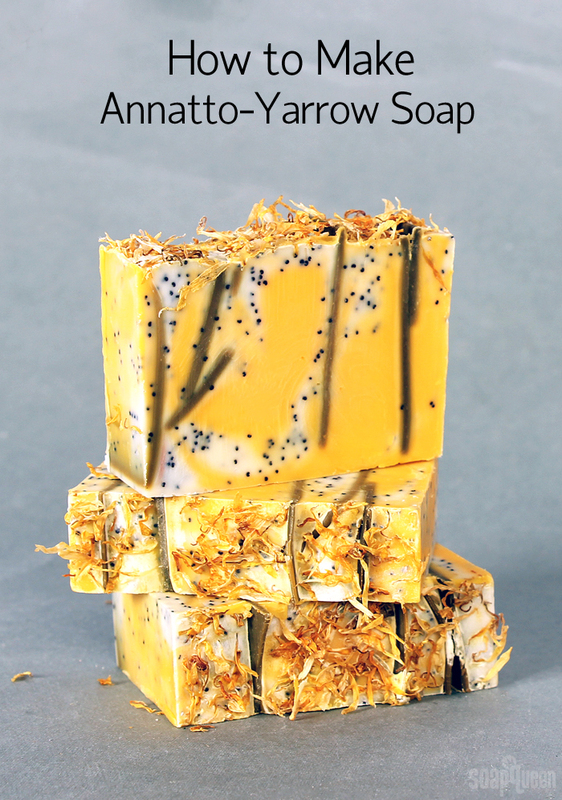 If you’re looking for a a project with an earthy scent instead, check out the Annatto Yarrow Soap. It’s scented with a blend of bergamot essential oil and rosemary essential oil. It’s also made with natural colors like spirulina powder, annatto seed and yarrow powder. The resulting bars are fun and unique. This week’s Facebook Photo of the Week by Crowley Candle Co. and Bath Bar is really fun and unique as well. The detail in the Elf Door soap is fantastic. I love the doors, as well as the cute embeds and flowers. Of course the sparkle on the bars never hurts! For more holiday inspired soaps, check out the Cool Yule Peppermint Loaf. The Peppermint Candy Bath Bombs are perfect for last-minute gifts. 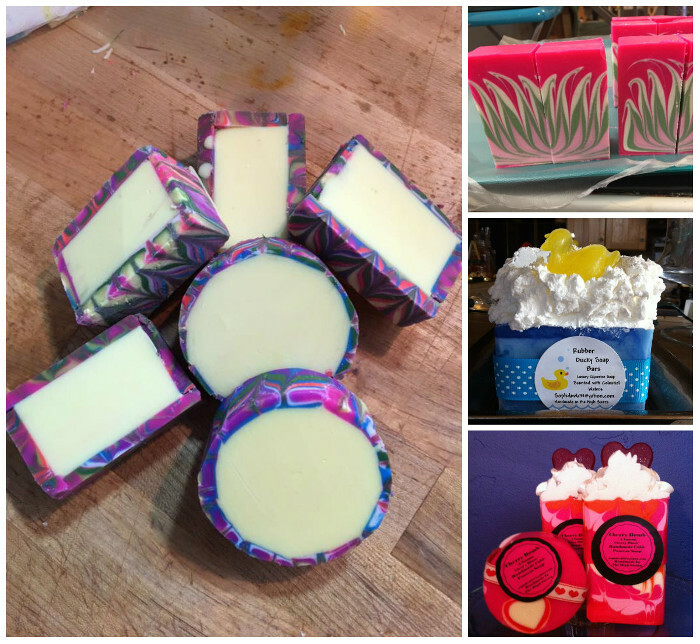 Above (clockwise, left) are Crowley Candle Co.’s rimmed soap, lotus soap, Rubber Ducky Soap Bars and Cherry Bomb Soaps. 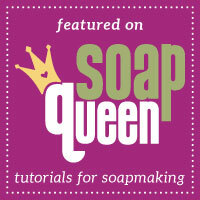 To find out how to create the rimmed soap, check out this cold process tutorial. 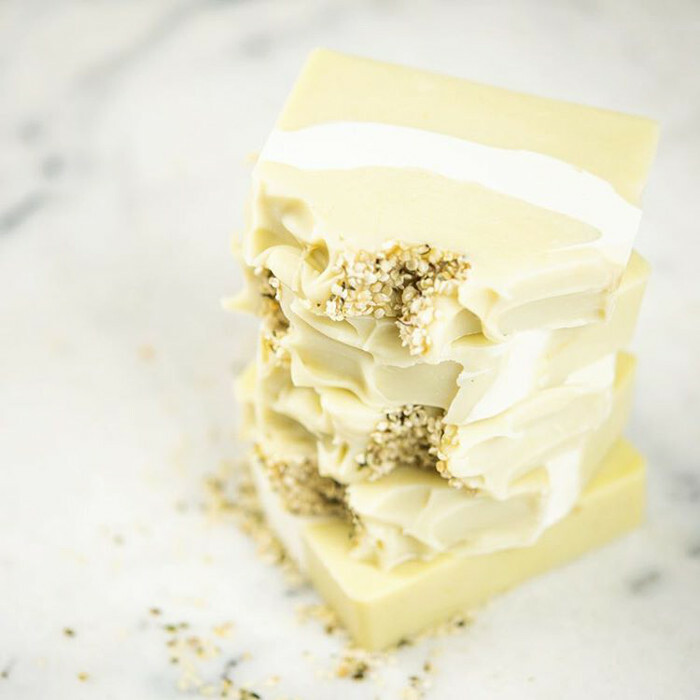 The Silicone Column Oatmeal Milk and Honey Soap creates round bars with a fun swirl. This week’s Instagram Photo of the Week by Marie with Humbleebee & Me features beautiful yellow and white layers. Her Gentle Hemp and Shea Soap has gorgeous texture on top and looks so elegant. For more of her work, check out her Instagram page.